Ameristar's welded ornamental steel fences are the most popular and widely installed by contractors in the nation. 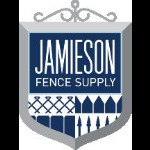 Our innovative fence designs and maintenance free coatings satisfy consumers need for high quality, affordable iron fence. For over 30 years Ameristar has continually set the industry standard for manufacturing high quality and innovative products. Our security division is established as a forerunner in security product development with a reputation for topmost quality and service. LEGI - Outerspace Landscape Furnishings, Inc.